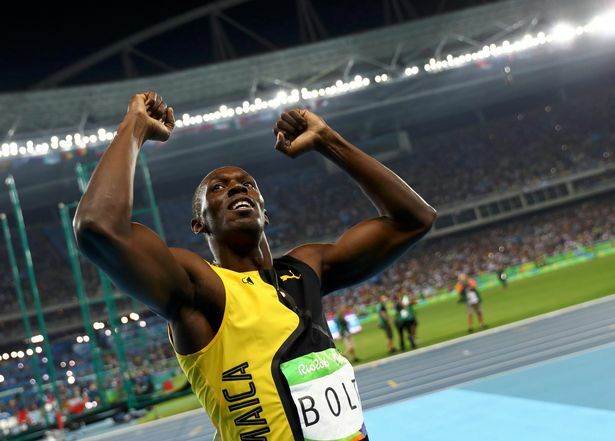 World's fastest man, Usain Bolt, has now become the first sprinter in history to claim three 100m Olympic titles. Bolt, the current world record holder with 9.58 seconds, comfortably crossed the line in 9.81, the slowest time out of any of his major 100m wins. America's Justin Gatlin , who was banned for doping offences, finished second - 0.8 seconds behind the winner. Andre De Grasse of Canada took the bronze medal crossing the line in 9.91 seconds. 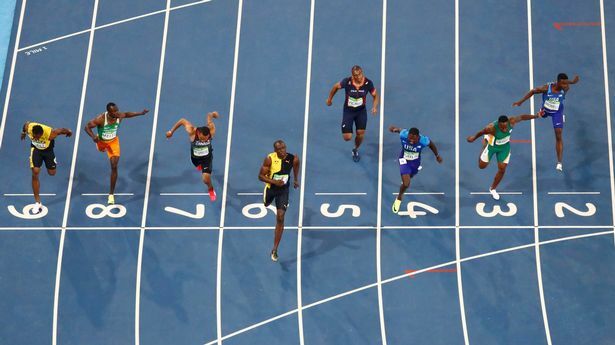 Despite Gatlin coming out of the blocks quicker, and dominating the first half of the race, Bolt set his usual second-wind cogs in motion and steamed into the lead. 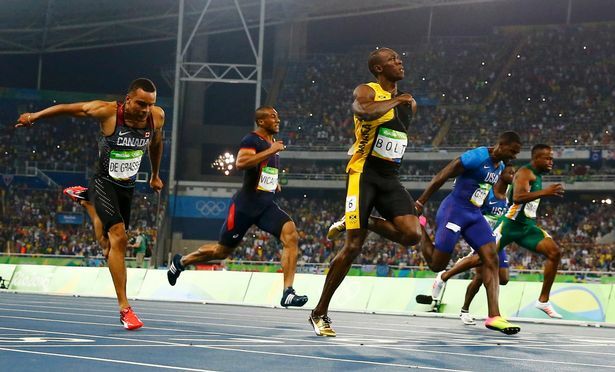 The rest really did go down in history, as Bolt surged across the line in first to claim his seventh Olympic gold medal. The Jamaican is now well on his way to completing his "triple triple" with the 200m and 4 x 100m events to go.